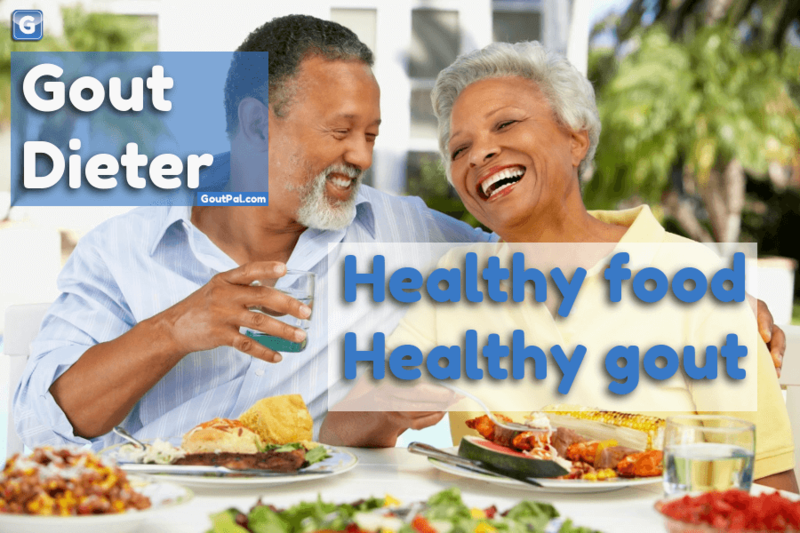 Improving Help For GoutPal Dieters is a discussion to improve the help pages for Gout Dieters. It is part of a series of discussions about different types of gout sufferer. When you have a healthy lifestyle, there are specific improvements that can help gout sufferers. I can help you maximize lifestyle changes that match your preferences and favorite foods. As a GoutPal Dieter, you will soon be enjoying life to the full. You should be in no doubt that your gout is fully under control. If you need reassurance, GoutPal is always here to help. The purpose of this discussion is to make it easy GoutPal Dieters to find the information they need. If my help pages are not clear, I will improve them based on your comments below. The great thing about being a Gout Dieter, is knowing you are in control. As you already have healthy eating habits, you can easily identify simple ways to tweak your diet for gout. You monitor the effects of your lifestyle on your uric acid levels. So, you always know your gout is improving. Even if you are not fully recovered yet, you can see that you will soon be gout free. Then, you become a Gout Champion. Always vigilant, and always certain that gout will never return. You can forget worrying about gout, and be a Life Champion. Life Champions do not need GoutPal. However, if you want to help other gout sufferers, you are in a good place. You are best to encourage other sufferers, because you can share your positive experiences. Check back from time to time, or make a more formal commitment. It’s up to you. But, for now, it’s back to being a Gout Dieter, and making that last step forward to being a Gout Champion. Gout Facts and Guidelines labeled For GoutPal Dieters. Current forum discussions tagged Gout Dieter Forum. Old forum discussions and help pages labeled For Gout Dieters. Gout Dieters search a lot for foods that lower uric acid. I hope my search results explain how you might incorporate these in a way that matches your uric acid targets. If you have a question about food and uric acid, you should always type it into the search box first. Many times, you will find the information you need. If you do not, you can ask in the gout forum. When you ask your questions, please mention your search, and explain why it didn’t give you all the information you need. As you search and browse, you find pages that are particularly helpful to you. When you find helpful pages, please use the comments below to say why the page was important to you. Better still, start a new topic in the gout forum. Your messages help other Gout Dieters, find relevant information. Writing about your personal lifestyle changes also helps you realize that healthy eating habits can often be improved for gout. Indeed, we expect diet changes will be needed, as we slowly recover from gout and become more active. Do you have questions, experiences, or opinions to share about being a Gout Dieter? The best place to start is to post a topic in the General Gout Forum. Gout Dieter. Add personal reasons why you belong to this group. If you want to be a Gout Champion, you can set a date for when you think you will be totally gout-free. If you keep your uric acid safe, and have no flares for six months, you are automatically a Gout Champion. You might need structured help to progress from Gout Dieter to Gout Champion. If so, see How to start Structured Gout Help.